Want to grab some Windows 10 games with serious price reductions? Then you're in luck, because Microsoft is hosting its 'Ultimate Game Sale' on the Windows Store right now. 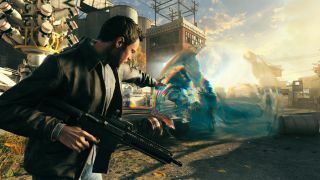 And there are some big-name games which have been given the discount treatment, including Quantum Break, which has had 25% lopped off its asking price, being reduced to $45 (£33.59 in the UK). Post-apocalypse survival game Sheltered has had a third chopped off its price tag, and it will now run you to $10.49 (£7.99). And the same reduction goes for the Gears of War: Ultimate Edition for Windows 10, which is now priced at $19.99 (£15.39), down from $29.99 (£22.79). Naturally, there are plenty of other bargains to be had – just head on over to the Windows Store and take a gander, with Redmond highlighting the main reductions on the Ultimate Game Sale page. You don't have to buy these titles right now, as the sale lasts for a while; in fact you've got a full week to make any purchasing decisions.